só tambor gritando na noite quente dos trópicos. Nem mesmo poesia forjada na dor rubra do desespero. Só tambor cavado nos troncos duros da minha terra. Só tambor perdido na escuridão da noite perdida. até à consumação da grande festa do batuque! just a drum playing in the hot tropical night. Not even a poem forged in the searing pain of despair. Nothing like that – I want to be a drum! Just a drum carved from the solid tree trunks of my land. Just a drum lost in the darkness of the lost night. and not even a poem – I don’t want to be a poem. until the final great batuque jam session! José Craveirinha é considerado o poeta maior de Moçambique. Em 1991, tornou-se o primeiro autor africano galardoado com o Prémio Camões, o mais importante prémio literário da língua portuguesa. José Craveirinha (1922 – 2003) was a Mozambican journalist, short-story writer, and poet. He was the child of a Portuguese father and a black (Ronga) Mozambican mother. An impassioned supporter of the anti-Colonial group Frelimo during the Portuguese Colonial War/War of Liberation, he was imprisoned from 1966 to 1974. Craveirinha was one of the pioneers of Poesia Moçambicana da Negritude, a literary movement that highlighted African traditions and the reaffirmation of African values. 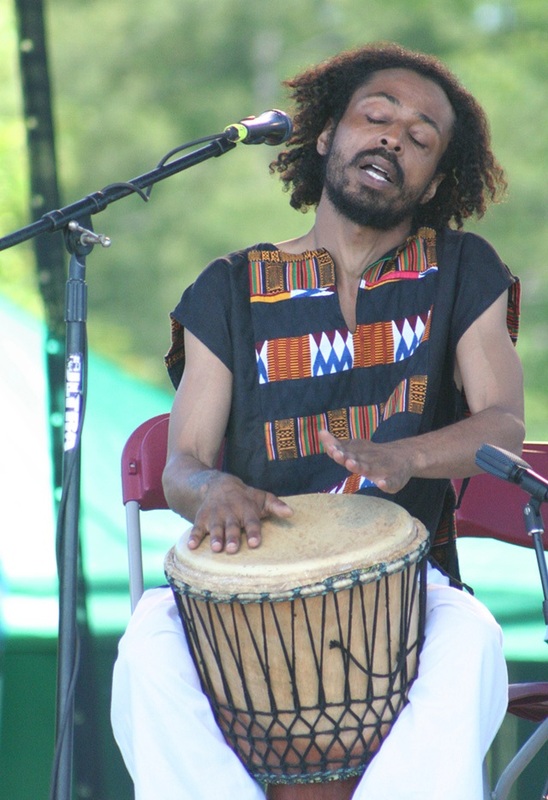 Master drummer Muhtadi Thomas came to Canada in 1974 from Trinidad and Tobago. He settled in Toronto where he has established himself as the premier percussion-instrument mentor among students in the city’s school and community programmes. 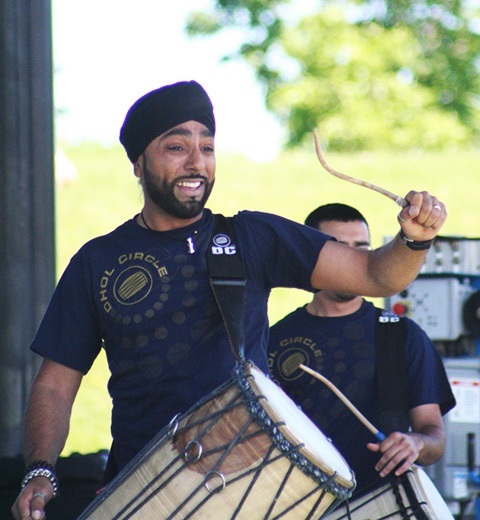 He plays djembe, bongos, congas, timbales, plus T&T’s steel pan – among other world drums. 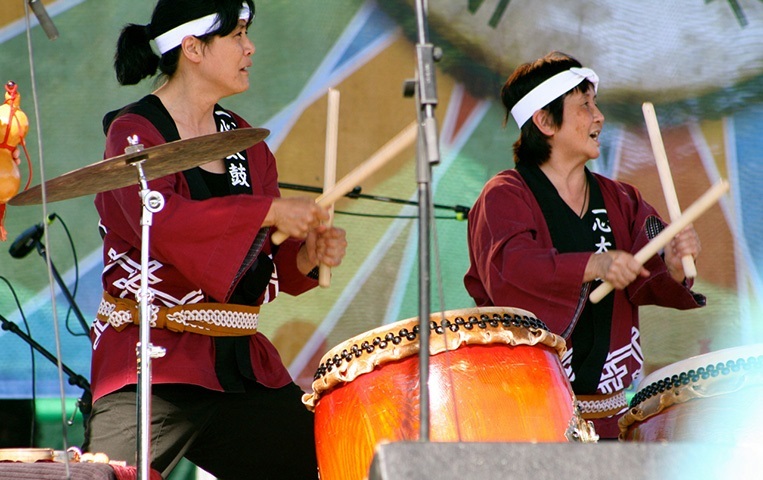 June 8th and 9th, 2013, marked the 14th year of the Muhtadi International Drumming Festival.